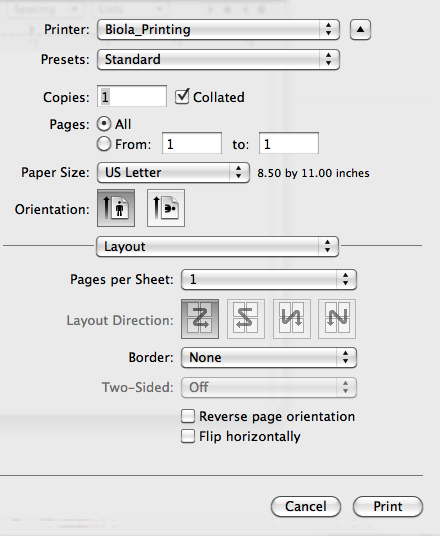 If you want to print from your personal computer, see the bottom of this page for instructions (Mac). 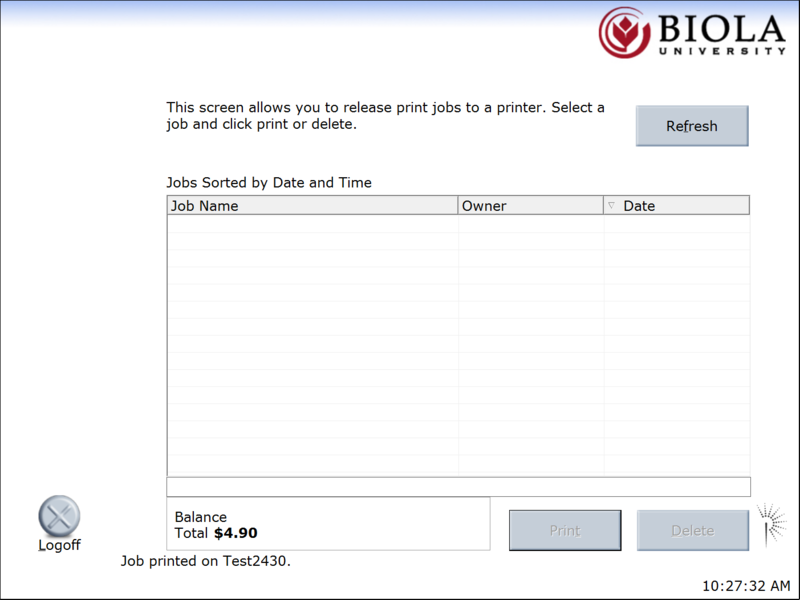 Follow these steps to print in any Mac computer lab on campus. Last modified Dec 11, 2013 11:31 a.m. Requirements: Mac OS X version 10.6 or later. 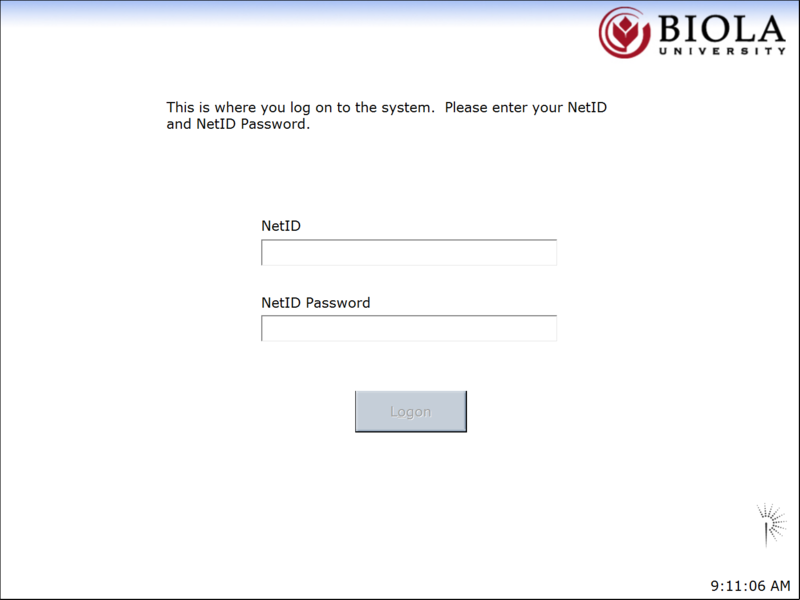 Connection to the Biola network via wired Ethernet or wireless Biola-NetID connection. Biola-GUEST will not work. 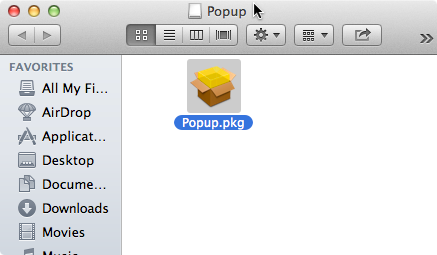 Double-click on the Pharos.dmg file to open, then double-click on the Popup.pkg installer file. 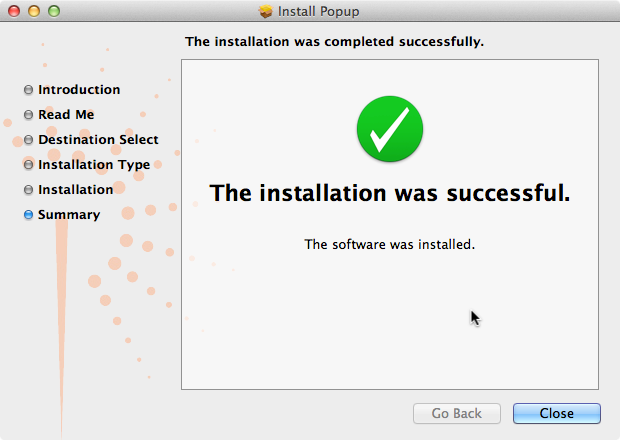 Keep clicking Continue until the installer has finished. 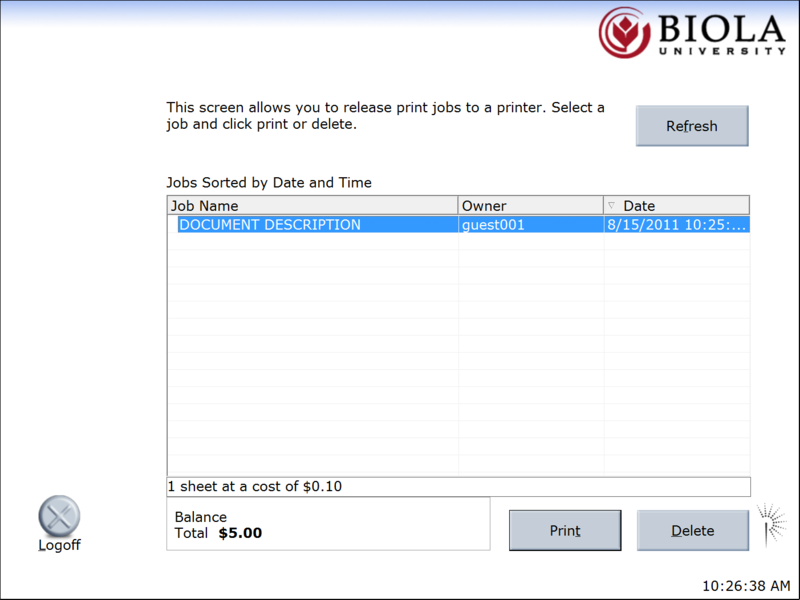 You are now set up to print! 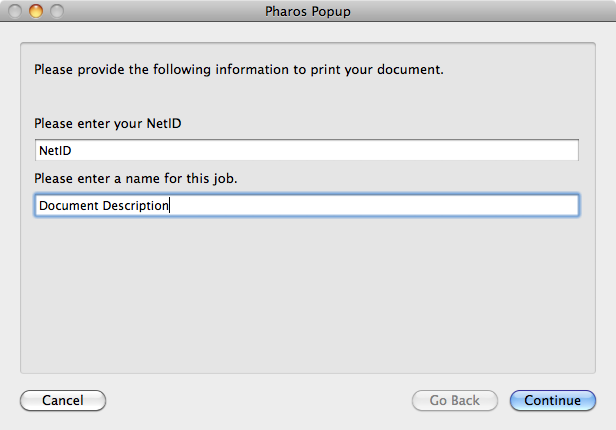 Go back to top of page for instructions on using Pharos. 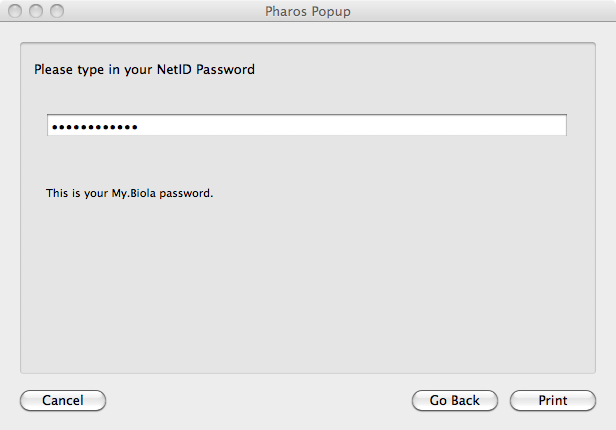 If you need help installing Pharos please contact the IT Helpdesk at extension 4740 or by visiting the IT Helpdesk in Lower Metzger East.